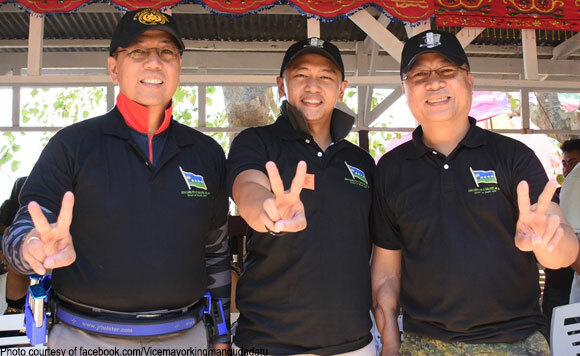 The Mangudadatu bros took part in the fun-filled shooting activity with some high rank officials. Former Buluan Vice Mayor King Mangudadatu recently shared some snaps at the recenlty held Shoot for Peace last Sunday, December 2. The Politiko attended the gun fire shooting leisure activity along with the Chief of Staff of the Armed Forces of the Philippines General Carlito G. Galvez, Maj. General Cerilito E. Sobejana and Mangudadatu town Mayor Freddie G. Mangudadatu. The group also reveled in some yummy feast outdoors and happily posed for photos.